How long does it take for my wish to come true with the Law of Attraction? | Law of Attraction Plus: The Secret revealed! This is a common question we usually ask ourselves and to which there isn't a specific answer. The results depend on your level of credibility of what you're asking for. It's not too hard for the Universe to manifest your wish. Any delay is owed to your own delay in believing and feeling what you "already have". You have to get on the frequency of what you want and it will manifest. 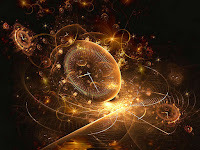 Einstein and Quantum Physics teach us that time is an illusion, that everything occurs simultaneously. Past, present and future coexist in parallel. If everything occurs in parallel, then there already is a version of yourself with your wish. Neither time or size exist in the Universe. Attracting something big or difficult to realize is just the same as attracting something small or easy to realize. The Universe does it all with no effort. All you have to do is provide the feelings of having it now and it will respond to you, whatever it is. To gain confidence, you can start with something you consider small or easy to realize. For example, think of an old friend you haven't seen in a long time. Visualize yourself talking to that friend. One way or the other, that person will contact you or you'll have news from them. Once you get it, start to wish for things you consider bigger or harder to realize. This is the magic of the creative process. Please, leave your comment and tell us how The Law of Attraction has been working for you.